Development of Crohn's disease in time. 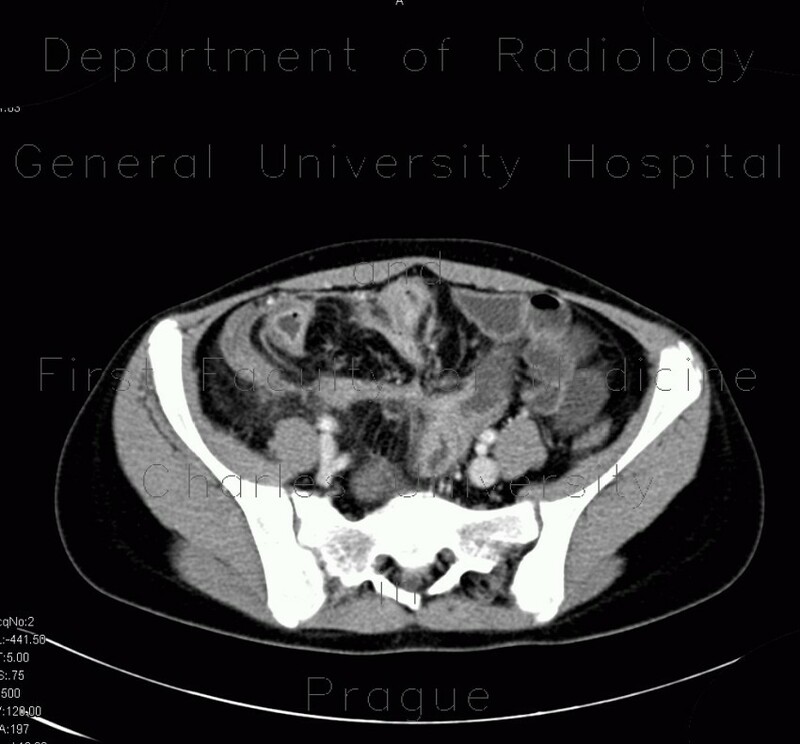 Routine CT of 2005 showed inflammatory changes of ileal loops, mesenteric edema and beginning mesenteric infiltrate. In 2009, CT enteroclysis showed progression of inflammatory changes of intestinal wall and mesenteric infiltrate. CT enterography of 2010 showed further progression of mesenterial infilrate with multiple commnicating fistulae. MR of pelvis in 2009 revealed no fistulisation in the pelvis, however, inflammatory changes of ileal loops and ascites in the pelvis can be seen.